I think the time is overdue for another “vanity” Visio network shape. 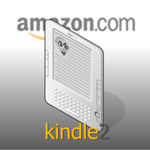 And since Amazon.com has been making a lot of noise lately about its new Kindle 2 book reader, I’ve been inspired to oblige. 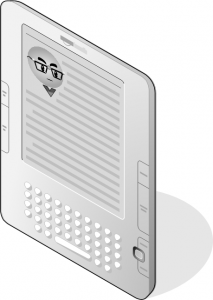 This version of the Kindle looks a lot more attractive than its predecessor, so I thought I’d preserve it for eternity in the form of a Visio network shape! Can’t wait to drag and drop ‘er, can ya? Now I’m not sure how often network folk will need to show book readers in their network diagrams, but I can imagine it might be happening more and more in the near future. By the way, if you are wondering about the oblique, 3D-ish connector, have a look at: Oblique Connectors For Your 3D Diagrams! I don’t have a Kindle yet, but I want one! Evidently the wireless features (ie: downloading books from the aether) doesn’t work here in Europe yet, but you can still transfer content from your PC via a USB cable. While poking around Amazon’s site, I found that there are a few Visio-related Kindle-edition books out there! I keep looking at this list thinking about how nice would it be not to have my office crammed full of all those really thick (and heavy) software books! For those who are interested in creating their own shapes, you might find it interesting to know a little bit about the process I used to create this shape. 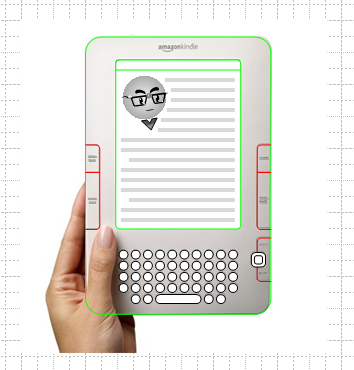 Once I’d drawn the Kindle 2 in a plan-view, I needed to give it some perspective. Unfortunately Visio doesn’t have a nice skewing function because you’re not supposed to draw in Visio, you’re supposed to drag and drop! But SVG supports skewing, and Visio can export and import the SVG format. 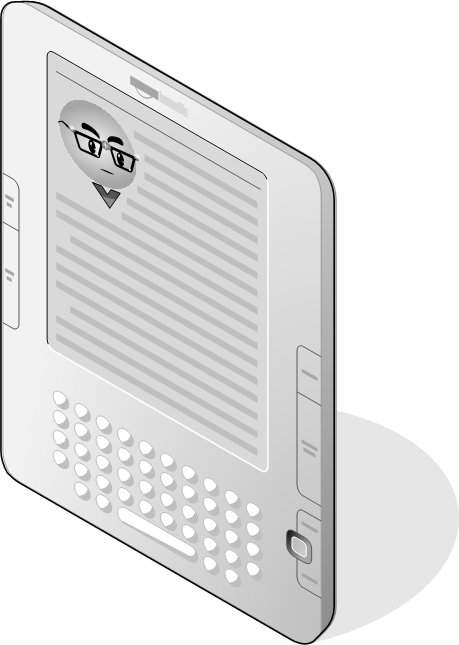 So I exported my traced Kindle 2 to SVG format, added a skew inside of the SVG file using Notepad, and re-imported the modified bits. Upon re-import to Visio, Voila! The graphics were skewed! 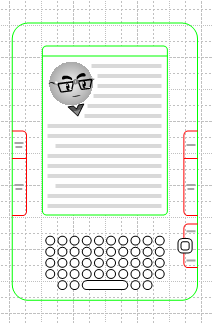 You might be able to see that Visio Guy’s left eye is a bit messed up in the image above. That’s because Visio doesn’t support SVG with 100% fidelity. If this SVG-skewing technique sounds like unintelligible nonsense to you, have a look at the article Skewing Around With Visio & SVG, where I discuss the technique in more detail. I won’t go into all the details this time, but for advanced users, this might be good food for thought. Get My New Book for your Kindle! 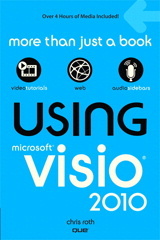 Using Microsoft Visio 2010 was released in June, 2011 and can be purchased for your e-reading pleasure! Finally, get your shape here! I was amazed with the SVG export -import functionality. Thanks for sharing with us with your excellent blog! Thanks for the kind words and the links to a great references!